Wang Learning Centre (汪老师学园), registered with MOE, consists of a team of dedicated and passionate teachers. Following the MOE syllabus, over the years we have developed a systematic and challenging curriculum for teaching Chinese language. They aim to cultivate students’ interest and to build up their confidence in learning Chinese by providing assistance according to student needs. 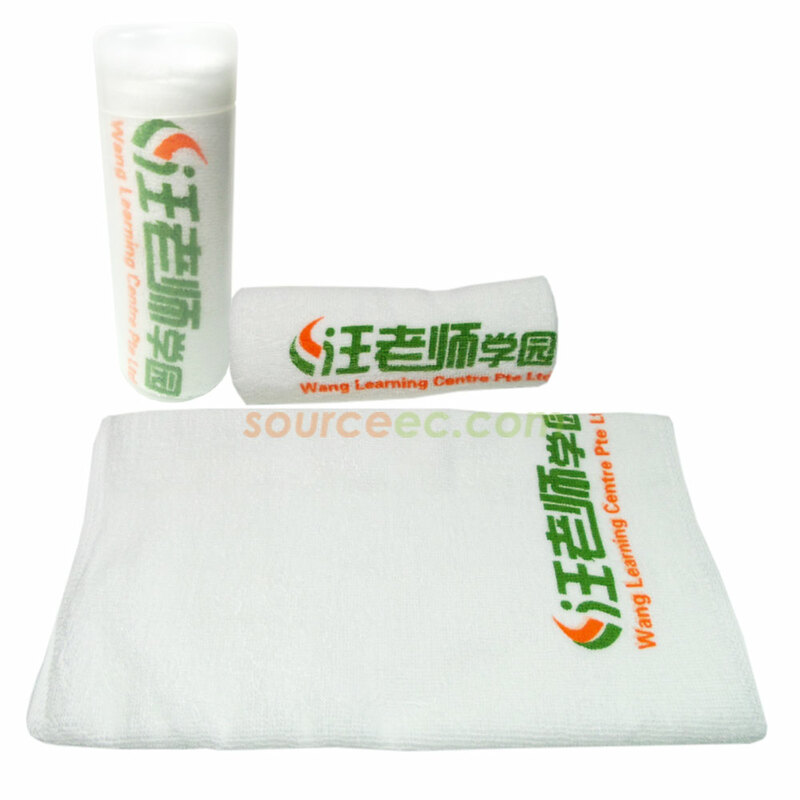 Wang Learning Centre Pte Ltd selected the portable towel with tube as promotional gifts. Terry velour material makes it easy to wipe their brows or wipe down weight and cardio equipment when they're done working out. Use as an incentive to try out your fitness club, weight loss clinic, physical therapy facility, spa or personal training offer. Keep your logo dry with this terry velour towel that's made from 100% cotton. Your message will look sleek against a color that best suits your company. It is the ideal gifts idea for aquatic centers, public pools, gyms or a day at the beach.